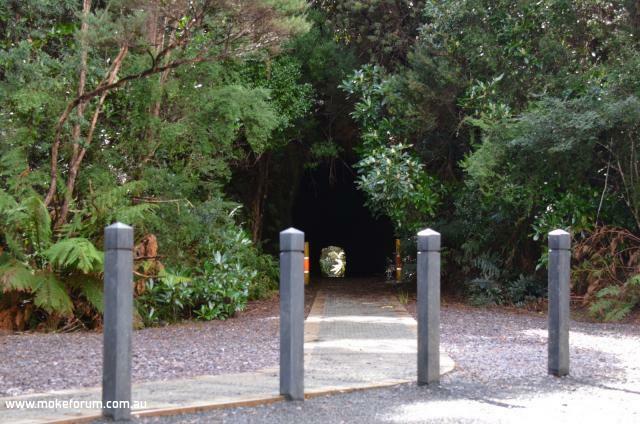 I have opened this topic to start highlighting some of the attractions that we are likely to see as we travel around Tasmania. This 1st item is something we can visit but can't now drive thru. We all did drive thru and had some fun on the slopes on the other side. Whilst we can still visit the site, it appears the authorities had heard that Terry was again visiting Tasmania and have placed some barriers in his path. 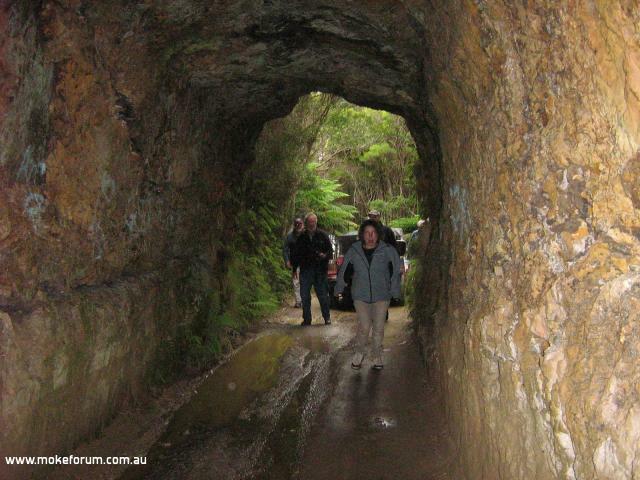 If we cant drive through the tunnel then there is no point going to Tassie again. PS. The museum would be good to visit again though and not be in such a rush going in after closing time. They look to me like a sort of size grading thing - a bit like those low hanging pipes that they put at the entries to bridges and carparks. I think the implication is "If you can fit between these bollards you can drive through the tunnel." It looks like a pretty common Rail Trial upgrade where they turn perfectly good driveable old railway easements into limited use walking and bike riding tracks with a government grant. Hopefully we can still play on the Quarry side of the tunnel. The following link is worthy of a look and maybe download the App. Please share anything that you find interesting. Whilst I haven't been there all reports are outstanding. Something for Terry's group to consider prior to Western Wander and for others as they travel back up the East Coast. I would think you would need a day there to do it justice. Yes Wineglass Bay is beautiful, its about 2 1/2 hours drive from Hobart, then its also quite a walk to the beach itself. I've done it from Hobart in a day a couple of times, but its a very full day! You really would want to spend the whole day in the area. Bay of Fires, further up the east coast is gorgeous too.